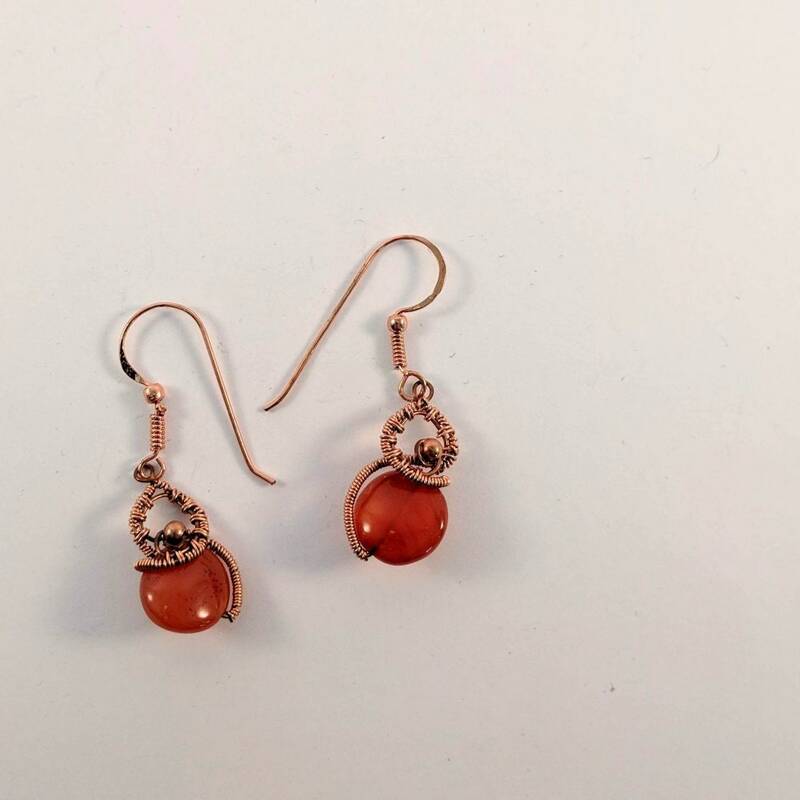 This earring's primary element is a 10mm carnelian coin bead. 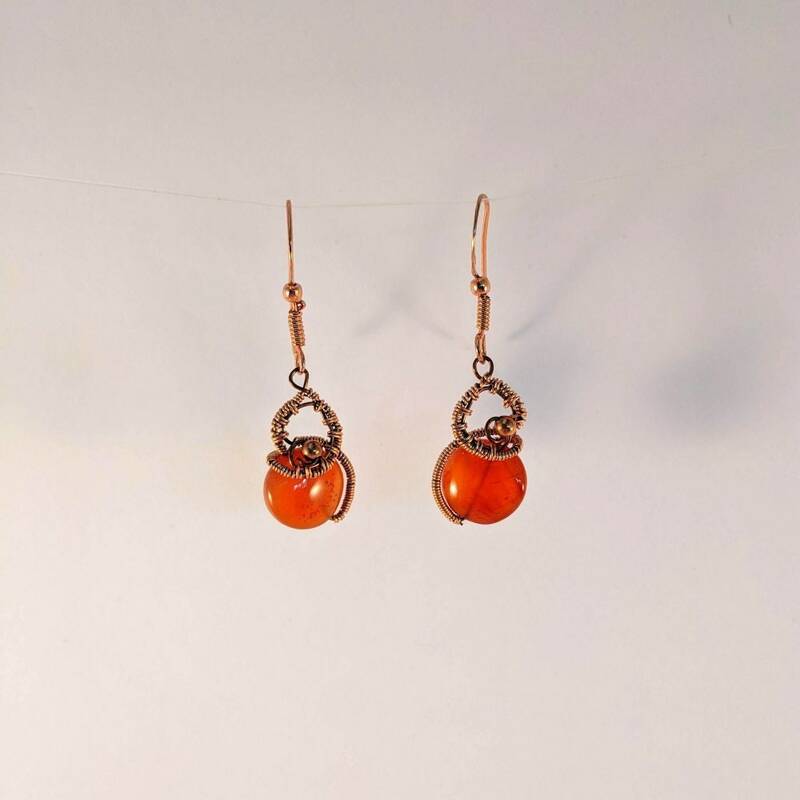 It is intricately wire wrapped with copper jewelry wire and a small copper bead. The wire is coiled and woven into a spiral around the top of the coin bead. The earring pendant measures approx. 28mm or a slightly over an inch in height. With the ear wire, the earring measures 50mm or approx. 2 inches. Available in other metals including Sterling Silver by custom order. envy and hatred. In the Renaissance it was worn as protection from lightning and storms. 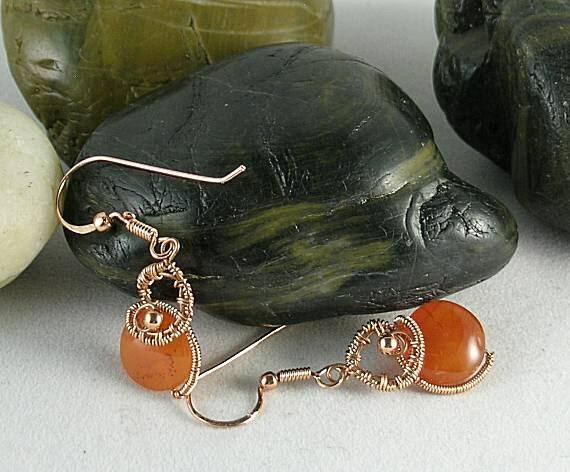 Carnelian Attributes: Protection from enchantments from others and reading thoughts. It brings peace and halts nightmares. Helps one to embrace change and transform life. Healing - prevents skin diseases, insanity, nose bleeds and all blood diseases, breaks negative and hurtful habits - Gives self-confidence and eloquence. 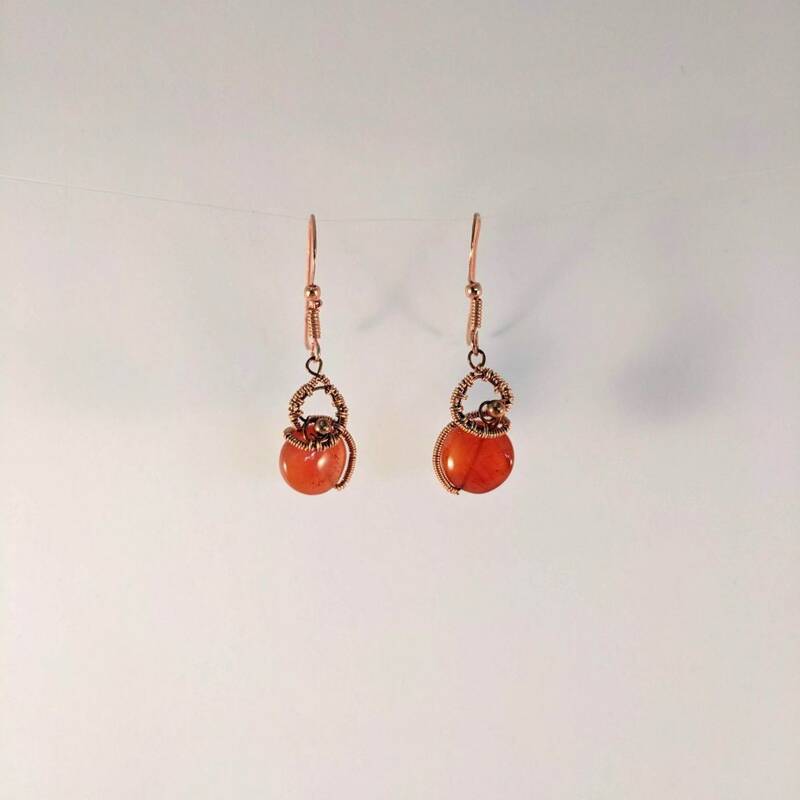 Carnelian Chakra Energy - It carries the energies of 3 chakras - 1st energy by giving life force, 2nd energy because it is full of creativity and sexuality and 3rd energy to assert will to manifest highest goals by taking action! It is the stone representing 17th Anniversaries.